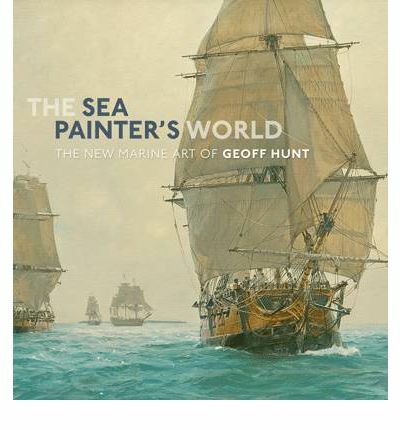 Now released - The Sea Painter's World - The New Marine Art of Geoff Hunt" Also "The Frigate Surprise" - illustrated volumes with paintings and sketches from the portfolio of one of the world's most celebrated contemporary marine artists. Geoff Hunt, RSMA, is know to millions of readers across the world as the artist responsible for the covers of Patrick O’Brian’s Aubrey-Maturin novels. He is widely acknowledged to be one of the leading marine artists of his generation and his paintings of square-riggers, sea battles and naval operations, as well as deck and port scenes, truly evoke the era and workings of Nelson’s Navy and those of its enemies during the ‘Age of Sail’. "The Marine Art of Geoff Hunt", written by the artist himself, presents over 100 paintings and sketches for the first time in a beautifully produced single volume. Geoff Hunt’s prolific career, his painting techniques and artistic influences and the trademark meticulous primary research, which contributes to each of his canvases, are examined in a lengthy introduction. This is followed by a series of five copiously illustrated ‘Case Studies’ where the artist explains the initial inspirations, the exploration of source material and the often lengthy artistic progression that leads to the creation of a finished painting. The major part of the volume is dedicated to a plate section focussing on four distinct themes exhibited in the artist’s output: Painting Nelson’s Navy; The American Revolution; Illustrating the Naval Writers and The Modern Marine Scene. About the Author Geoff Hunt is past-President of the Royal Society of Marine Artists. His paintings are to be found in museum collections in the UK and USA and in private collections world-wide, including the Royal Naval Museum in Portsmouth. His studio is on the site of Admiral Nelson’s home in Merton Place, Wimbledon. 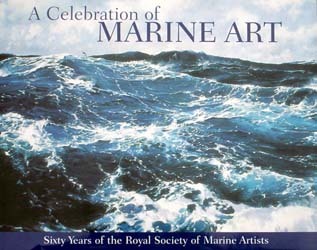 Also featured in this section is the revised and updated classic A Celebration of Marine Art - 60 years of the Royal Society of Marine Artists, introduced by Geoff Hunt and Mark Myers, his predecessor as President.